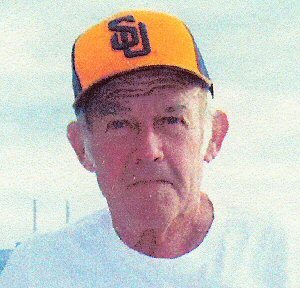 OSWEGO, NY – Paul A. Johnson Sr., 79, passed away Saturday April 114, 2012, in Catawba, Virginia. He was born in Oswego Center, son of the late George and Marion Laurent Johnson and remained a life resident. Paul had worked for many years as a machinist at Lagoes Machine Shop and Industrial Precision. He had also worked several years as a carpenter. Mr. Johnson loved spending time with his family. He also enjoyed being outside, hunting, fishing and gardening. He was a passionate Syracuse University football and basketball fan. He is survived by one daughter, Linda (Timothy) Mowry of Virginia; one son, Paul A. Johnson Jr. of Oswego; two brothers, Wesley Johnson of Florida and Leroy Johnson of Oswego; one sister, Doris Wiggins of Auburn; seven grandchildren, Stacey Johnson of Cleveland, NY, Ryan Mowry, Rebecca Mowry, Sara Mowry all of Virginia, Tristin Johnson of Georgia, Paul Matthew Miller and Melanie Miller both of Syracuse; six great-grandchildren; and several nieces and nephews. Mr. Johnson was predeceased by his first wife, Rosemary Mahaney Johnson; his second wife, Kathleen Cherchio Johnson; one son, Ronald Johnson; three sisters, Rose Scruton, Jeanette Victory and Evelyn Lawton. Funeral services will be held Friday at 11 a.m. at the Oswego Center Methodist Church. Calling hours will be Thursday 4-7 p.m. at the Dain-Cullinan Funeral Home.